And today definitely is a happy day because guess what? Today my man and I get to have almost the whole day together!! First time in at least two years, and I'm SO excited. It was completely last minute and I'm incredibly grateful for our sweet friends who love our children and look forward to babysitting! I also wanted to thank all of you for your feedback after yesterday's post. I'm humbled that it was a blessing, challenge and encouragement to so many. I am still learning so much about helping others who are going through a difficult time and many of you shared some great ideas. If you read yesterday's post, take a minute to read the comments as well. Well, on Friday's I usually do a little weekly family recap sharing pics from my phone and Instagram feed. If you're on there, you can find me @itsjustlaine. The slipcovers were due for another good washing and I was reminded again why I went through pain and suffering of sewing it! I'm thinking I could win an ugly couch award though...peach and seafoam stripes....lovely. This was one project that was most definitely worth it! When I shared this picture, I confessed that I pretty much NEVER paint my nails, and when I do, I can't seem to stick with "normal" colors. It was Saturday and I mentioned that I was going to take it off because, hey, "Does your pastor's wife wear turquoise nail polish?" This was a printable from a friend's blog last year and I was going to give ya'll the link but it is no longer available. I want to make more of an effort to put God's Word in different places around our home. This is just taped up inside a cupboard door! And yes, He does make everything beautiful in His time, in His way. But that's the key. We have to wait on Him. His plan is so much better than anything you could imagine. It might not always seem that way, but remember that He sees the big picture and He knows just what to "paint" next on the canvas of our lives. Have patience, friends...He knows what He's doing! Lucy hates hairbows. Wednesday night she took out her hairbow (again!) and then tried to put it in my hair. She was giggling like crazy...silly girl! After our Wednesday night service when we were all hanging around and talking, we found out that one of the college girls in our church had never been to Krispy Kreme. So we did what any good friend would do and said, "Okay, get your stuff...we're taking you!" The "Hot Now" sign was even on when we got there. It was amazing. =D And my kids had a blast watching the donuts being made! This kid loves his baby sister...last night after dinner I glanced over and he was sharing his cookie with her. And he does this all the time....such a sweet big brother. Looking forward to time with my hubby and I'm sure I'll be sharing snippits of our day on instagrammy. So what are you up to today? Work? Laundry? Hope you have a wonderful day! 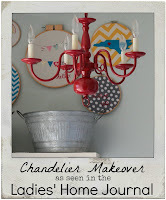 Linking up to InstaFriday @ LifeRearranged. Have a great day with your hubby! We're off together today too (but our kids are older and all in school, so we get to sneak out for daytime dates on a regular basis. Today, we'll be grabbing breakfast, then watching "Lincoln", then grocery shopping, and family time tonight. Better get off this laptop and get ready! Stopping by from Life Rearranged. Oh my word!!! A giant elk with Diabetes just made me cry from laughing so hard!!! BAHAHA! That is HIL...arious! Love it so! Thanks for sharing all these peeks into your life. Loved reading it.